Welcome to Idlwilde Inn. 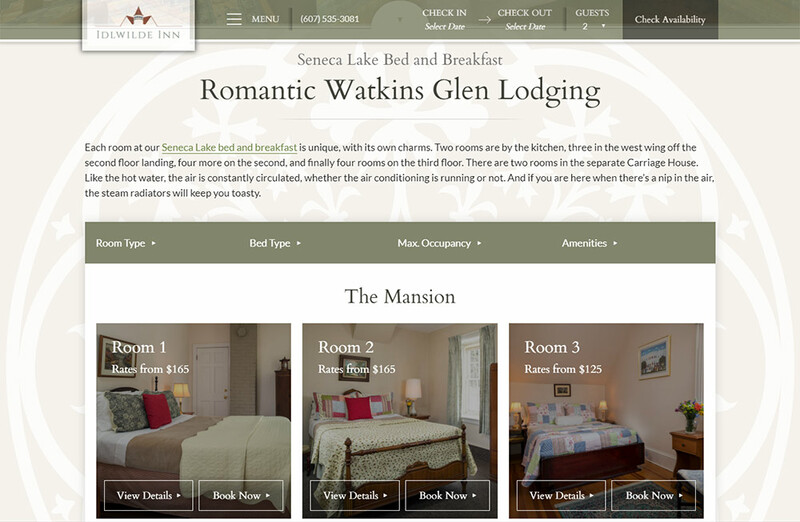 Located in Watkins Glen, New York, this top-notch Bed and Breakfast is a must-see vacation destination with picturesque lakeside views and a charming atmosphere. Once a late 19th-century Victorian summer house, the elegance of the era it was built in is still retained to this day with luxurious accommodations and distinct style. In addition, feel free to bring your furry friends along as Idlwilde Inn is dog-friendly! Stella, the property’s beagle/terrier mix, certainly wouldn’t mind the company either. And what is a B&B without Breakfast? Made using farm-fresh ingredients and produce, delicious dishes like their world-renowned breakfast Casserole and local favorite shrimp and grits are sure to satisfy the discerning palate. With this gorgeous property overlooking Cayuga Lake, Idlwilde Inn is the perfect romantic getaway. 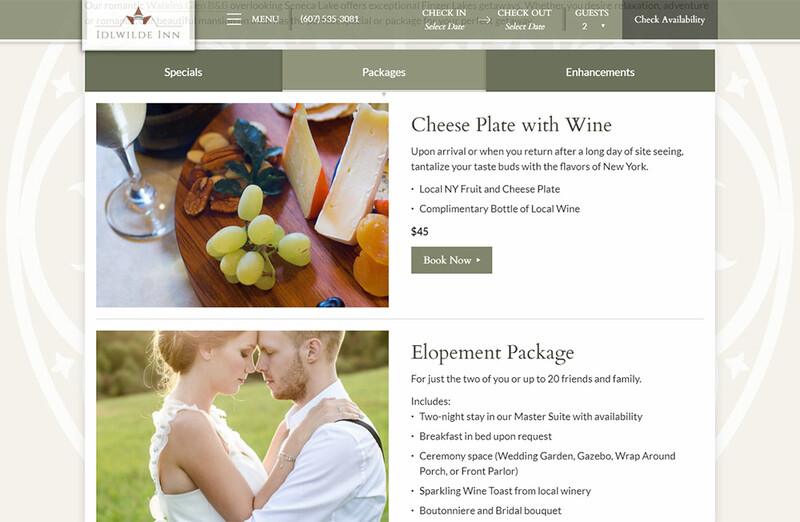 And with the Elopement package, the wedding doesn’t have to be a hassle! 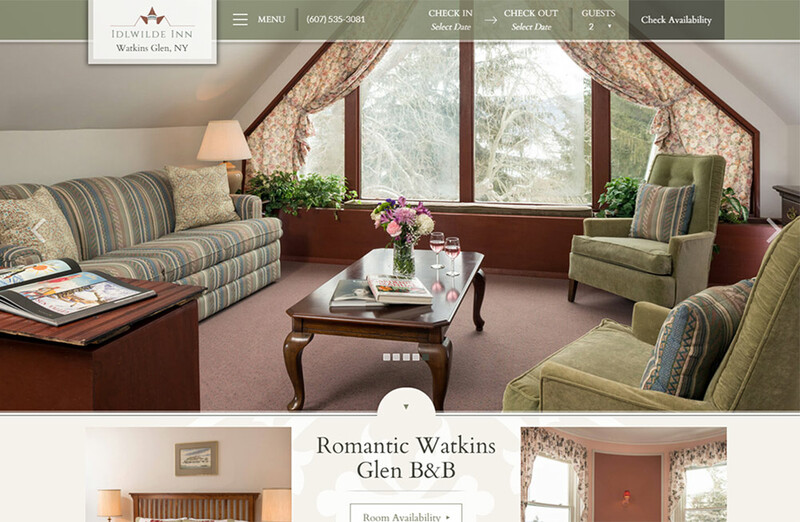 Our Watkins Glen bed and breakfast is simply a delight to stay at. 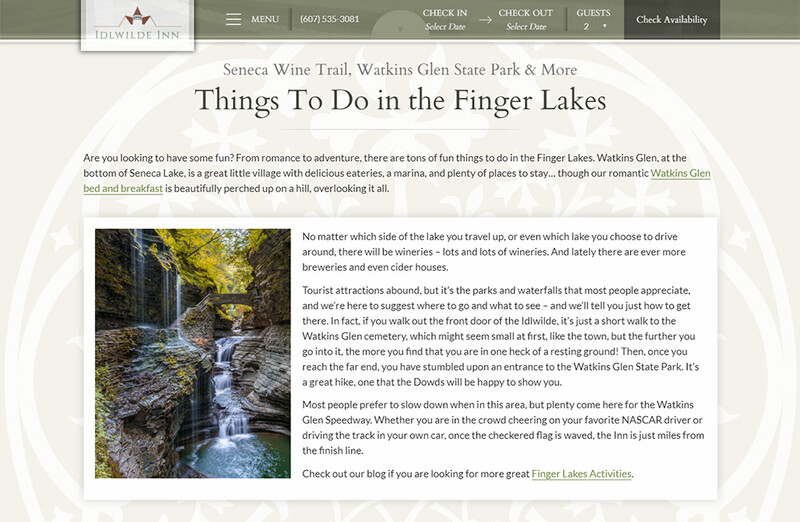 Sip wine on the wraparound porch, enjoy a relaxing game of chess in the lobby, watch the sun set over the lake, or meander down to the local shops and restaurants the area has to offer, all within walking distance. Whatever the occasion, you’re sure to have a memorable stay at the Idlwilde Inn. 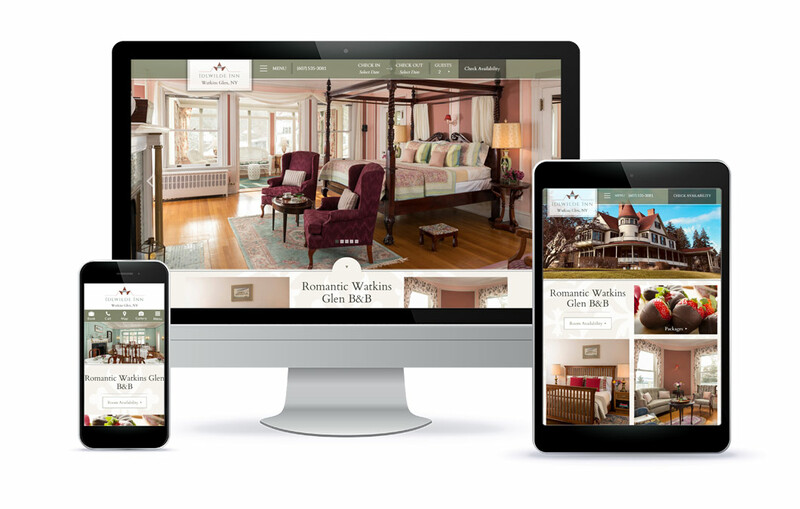 Elin and Marcus - it was a pleasure to create this new site for you!